With "Spirit" Eluveitie went a big step forward, presenting a completely new style of Folk Metal to the scene - starting a new wave of Folk Metal! While the album was turning out to be a huge success, the band toured their asses off again. Yet whilst touring and playing many festivals like the Graspop Metal Meeting (Belgium) or Summerbreeze Open Air (Germany), Eluveitie already began to work on new material for the succesive album. “Slania” turned out to become a breakthrough (chart entries in Switzerland: #35 and Germany: #72) and the band was getting busy taking over the world in 2008 - with appearances at most of the bigger european summer festivals as well as two USA/Canada tours and three European tours within only 12 (!) months. 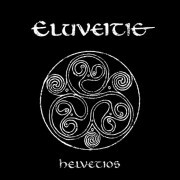 But never being lazy, Eluveitie worked out new material while touring and was ready to enter the studio again in December 2008! Their follow-up album to “Slania” should become something special - for it is the bands first purely acoustic album (and part I of a two-pieced acoustic concept). “Evocation I - the arcane dominion” was released in April 2009 and turned out to become a real gem of folkmusic and again became a huge success (#20 in the swiss album charts). More tours all over Europe & North America followed as well as their first show in Russia. O show foi f3timo!! !E o pessoal da banda se3o super simpe1ticos! Escutaram e tararim fotos de boa! !Obrigada pela dica!Encontrei le1 pessoas que nem imaginei que encontraria e o show deles e9 de arrepiar!Continuem postando esses shows especialmente os daqui de Bh porque se3o poucos divulgados e como voceas comentam da banda de1 pra se ter uma noe7e3o do que a gente vai encontrar le1!Obrigada mesmo!O site e9 muito bom e completo! Adoro passar por aqui e ver coisas novas!Abrae7o!